Click the picture to get the book. Beverly Hills Book Award winner, ForeWord Reviews Book of the Year Award bronze winner, International Book Awards finalist, ForeWord Firsts debut literary competition finalist. Noah Hartman, eighty years old, lies sick in a hospital bed recounting his life of love and loss to Josh, a wise and compassionate orderly who stopped in to bring him dinner. As Noah’s loved ones arrive one by one to see him, they listen in on his story, and we’re transported back in time to Noah’s younger years. While snorkeling in the Caribbean, the captain of the boat warns them not to disturb anything in the sea. Ignoring the exhortation, Noah dives down and snags a sand dollar from the ocean floor, whereupon it explodes in his hand. With the fragile sand dollar taking on new significance, Robin inexplicably leaves Noah shortly after returning from their vacation. Like a passing breeze, she disappears out of his life without a trace, seemingly forever. Years pass, and Noah still can’t get her out of his mind and out of his heart. After all, she’d always be the one who got away, the one he loved the most. That’s when he finds out about her hidden secret, an underlying condition responsible for her disappearance. 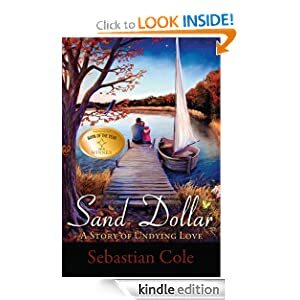 Noah has no choice but to move on with his life without her, meeting Sarah at the premiere of SAND DOLLAR, the movie he wrote about his time with Robin. Things are definitely not as they appear as Noah discovers a far greater truth about the past, present, and future. As Noah finishes telling his story, we are brought up to present day, where the pieces of a shattered love are put back together in the remarkable final chapter of his life. Layla Kendall is the oldest of three sisters. She’s a burned out social worker one step away from a major depression and she needs a fresh start. 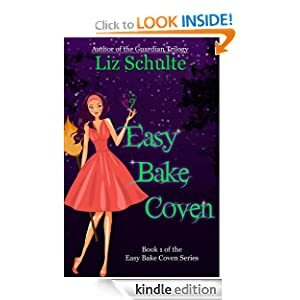 When she and her sisters Kit and Jane inherit their grandmother’s bakery, she doesn’t know if she can trust her good fortune or not. Life has taught her that happiness is just an illusion. But the chance to be with her sisters and get away from the heart ache and pain she’s faced day in and day out is a chance she’s going to take. The fact that they don’t know anything about running a bakery won’t stop them. With Layla’s new life, come new connections and friendships including Michael Bender, a single dad and someone who wouldn’t mind getting to know Layla better. She doesn’t trust men and she doesn’t want to change her mind but Michael’s little girl Stella grabs her by the heart and won’t let go. When Layla and her sisters realize that there are people who want to see them fail, it will take a lot of heart and courage to keep going. 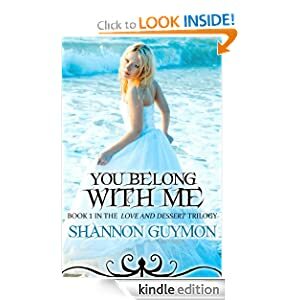 Layla will have to let go of the past in order to grab onto the future if she’ll ever find the love she needs. 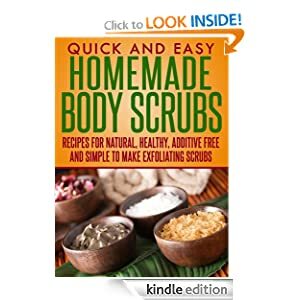 Learn how to make Homemade Body Scrubs! Click here for more free books!